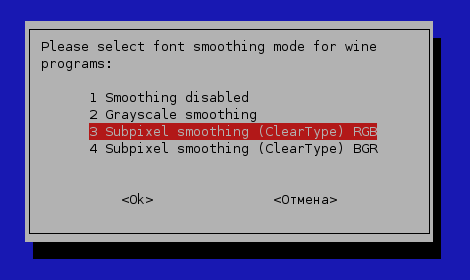 As most of you already know, wine supports font smoothing, including subpixel since wine 1.1.12. The problem is, this feature is disabled by default. There are many advices in internet on how to enable it (which includes working out with registry etc). You say select option 2 but you have option 3 selected. I’m confused. Question, will this work with crossover linux or just wine ? Oh wow, that is so much better! Thanks! Doesnt work for me either. Using 1.1.27. Hey! thanks a lot, it worked perfectly. For those who the script didn’t work, try to close all wine programs enter wineboot (thir reboots the wine server) and then open again the wine based program.